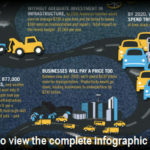 Our sister blog Save America’s Infrastructure, moderated by our friends in Government Relations, has a post up about ASCE President Greg DiLoreto’s appearance before a U.S. Senate committee to discuss the need to renew the current surface transportation act, and how to fund it. What DiLoreto did at the national level is something you’re capable of at the state legislature, county commissioner or town council level. He made a persuasive case that investing in infrastructure is essential beyond the project itself, that it’s critical to building and sustaining a robust economy. See the Save America’s Infrastructure post, which includes a link to video of DiLoreto’s appearance.